At last! 2 years, 9 months! 2 years of work, and 9 months after submitting the manuscript, my advance copy of Digital Literacies has arrived. Written with Gavin Dudeney and Mark Pegrum, it’s one of a new series of methodology books from Pearson Education called ‘Research and Resources’, combining research with practical classroom ideas. 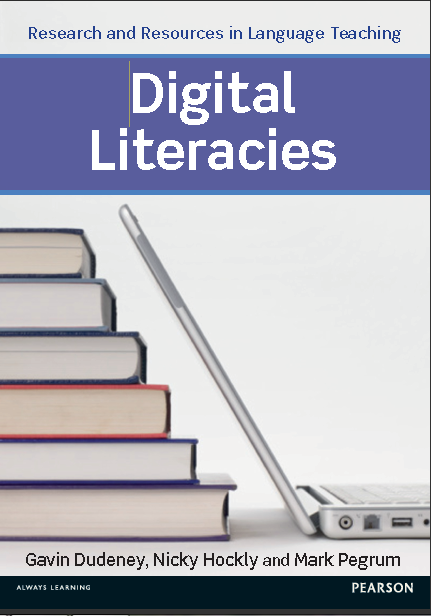 To celebrate this latest book (number 5), my next few blog posts are going to be about digital literacies. So, to kick off the series, here’s an interview I did for the British Council Teaching English website. There’s also an article on the site – Digital literacies: What are they and why should we care? My next few posts will include practical classroom activities for teachers to help their students develop digital literacies in the (language) classroom. I’d love to hear your views. Do you think digital literacies have any place in your classroom? If yes, why? If not, why not? If you need to brush up on what digital literacies are, and why they’re important, see the other blog posts in this series. This workshop provides an introduction to ‘Digital literacies’. 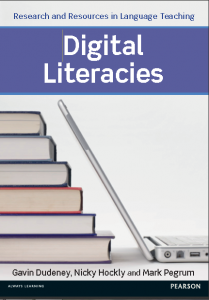 It offers an insight to the different aspects of digital literacies and gives some practical tips for the classroom. The workshop was filmed at the British Council Young learner centre, Barcelona in December 2012. The workshop is divided into four parts. Part 1 looks at ‘Information literacy’ through a lesson on the Pacific Northwest tree octopus. 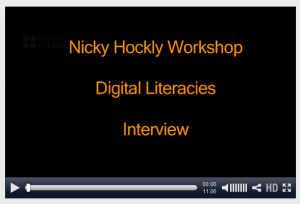 Part 2 gives an overview of the various digital literacies. Part 3 shows how ‘media literacy’ can be taught. Part 4 examines cultural and Intercultural literacies, and demonstrates how these can be taught.